Bwahahahahaha, Strictly For Stroking Only Pile - I love it! And I love the card too! I have several of those piles of papers!! 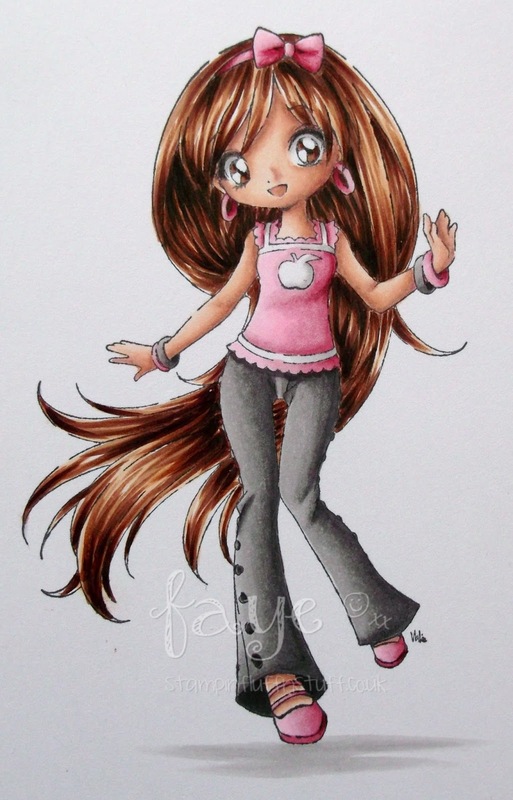 LOL Fab colouring Faye. She's just perfect. Especially all that hair! As always, your colouring is just stunning ! 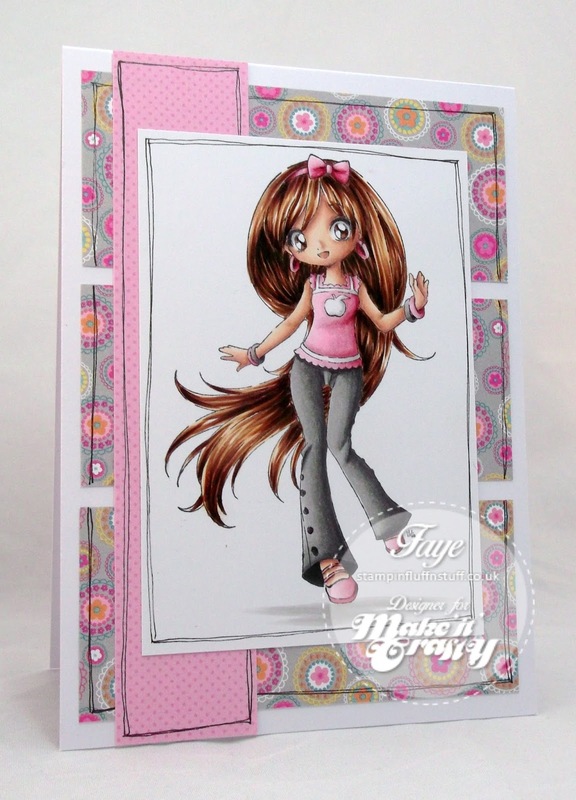 Faye this is such a lovely card and adorable image :) You did a fabulous job coloring! Love pink. Gorgeous card. Love your stroked paper.